A Delhi Court on 31 may deferred till tomorrow the order on the bail plea of ousted All India Anna Dravida Munnetra Kazhagam (AIADMK) leader TTV Dinakaran in the Election Commission bribery case. The order will also be given on Dinakaran's close aid Mallikarjun's bail plea. Earlier on 26 may, the court had extended the judicial custody of Dinakaran till June 12 in the same. 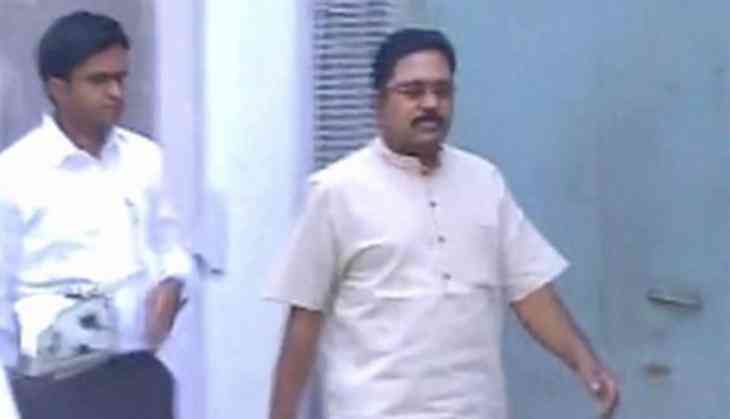 Earlier on 26 May, the Tees Hazari court had adjourned till May 29 the hearing of Dinakaran's bail plea. The court had adjourned the hearing, as the Investigating Officer in the case was not available that day. The Delhi Police had earlier opposed alleged middleman Sukesh Chandrashekhar's bail plea, following which the court had reserved its order. The Delhi Police claimed that Sukesh had many cases pending against him. The police also asserted that more arrests are likely to be made in the case soon. Earlier on 25 April, a Delhi court extended the alleged middleman's police custody till April 28, hours after Dinakaran accepted that he met Chandrashekhar in his bribery dealing with the Election Commission of India (ECI). Dinakaran initially refused to have known Sukesh. He later accepted meeting him when Sukesh himself gave the details of his meeting with the former. Dinakaran, who is accused of trying to bribe an Election Commission official in a bid to retain the 'two leaves' symbol of the AIADMK, however, maintained that he did not pay any money to Sukesh. Searches were also conducted at Sukesh's Kochi residence to trace the amount paid to him. Details of calls made and received and messages sent and received were also being sought. Earlier on 23 April, Dinakaran was cross examined along with his 'friend' Mallikarjuna and P.A. Janardhanan, sources state. They were quizzed about the money trail of the alleged bribe. Also, the matter of Dinakaran staying over with Mallikarjuna for around 10 days after an FIR was filed against him was also brought up during the interrogation. On 22 April, Dinakaran was given a set of questions by the Delhi Police in connection with the case. The questionnaire included queries about the money trail, his association with Chandrashekhar, the middleman alleged to have struck deal for Rs. 50 crore to help Dinakaran's AIADMK faction keep the 'two leaves' poll symbol, how many times he met Sukesh and whether any meeting with the Election Commission officials took place or not etc.